I'm writing this in my room, watching the trees in my garden blossom and the sun breaking trough the clouds. Winter here in Belgium -you can't call it winter since we have barely seen some snow or cold temperatures- is definately almost over. I can't help but be cheerful about this, since I feel like spring is, next to fall, one of my favorite seasons. The temperatures are raising (but they aren't too hot yet), everything comes back to life and the outfit possibilities seem endless. Since I am so happy about this whole move-over-winter-thing, I wanted to share some spring inspiration with you, to get in the mood. I predict yellow to be the color of this spring/summer. And I ain't mad about that! Yellow always cheers me up, makes me feel good and simply adds a touch of joy to your outfit. 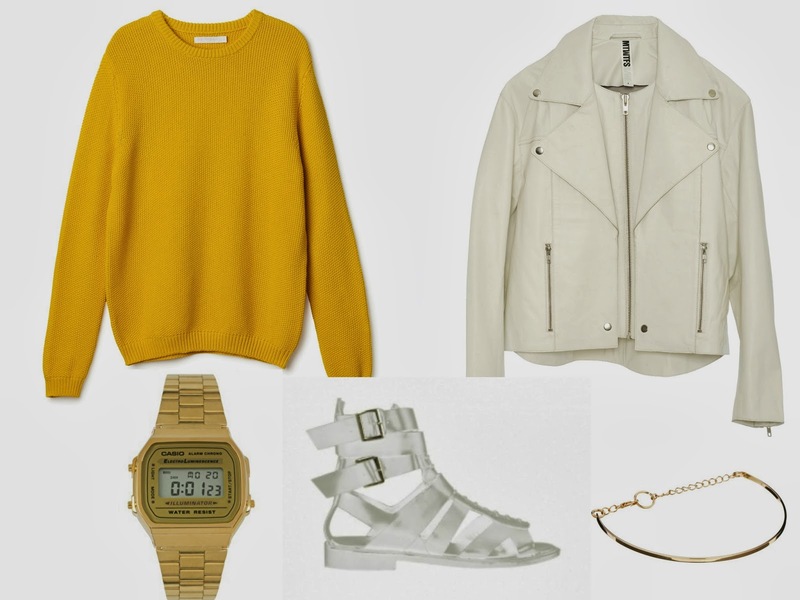 Paired with this pretty gorgeous perfect white leather perfecto and the white strappy sandals, to make the yellow of the sweater really stand out, and topped off with the retro cool Casio watch and a fine golden bracelet, this outfit is definately a winner! Several trends wrapped up in one outfit: check! 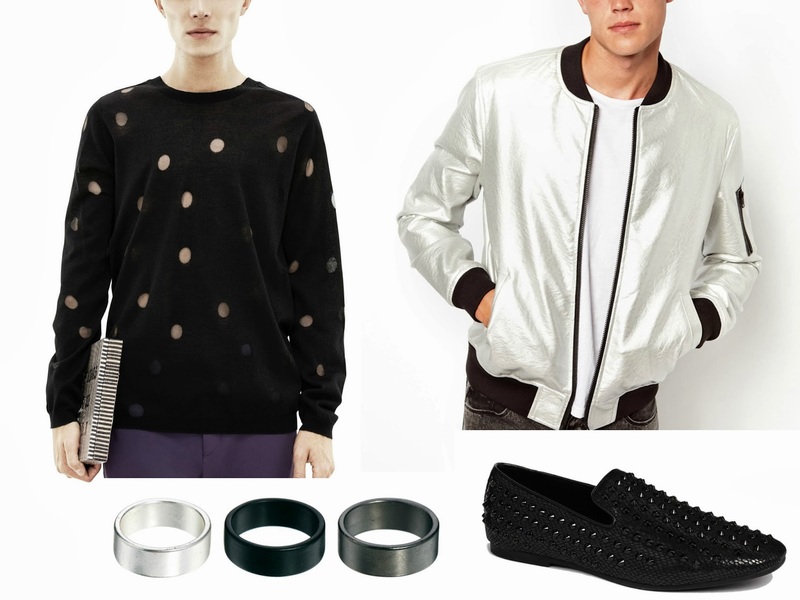 The sheer perforated sweater by Acne and the silver metallic bomber jacket from ASOS are a perfect match. The subtle, minimalistic rings and the studded loafers complete the total look. It's not because it's spring that you can't wear black! Well we can't call it spring without some flowers right? And instead of putting them on my legs or t-shirts, I am putting them on my shoulders this spring. These flower patches by Titi + The German Kid have returned in my posts for several times now sorry to bore you with them every time, but I can't help but keep thinking about them. Extravagant, fun and cool, what more to ask for? The sweater is a relatively new addition to the SS14 collection of Titi + The German Kid, and boy I'm crushing on it!Fringes + baby blue = instant swag coolness. 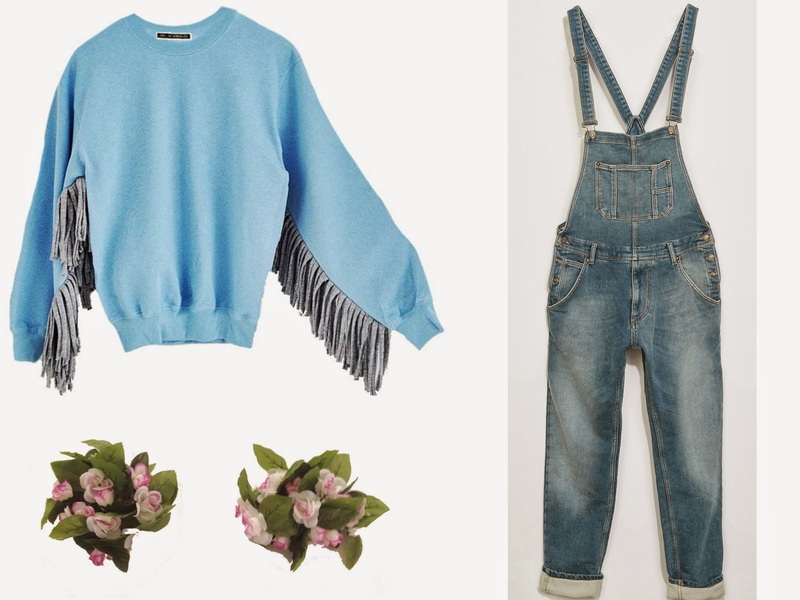 The last item on this moodboard are these denim/velvet dungarees. I know you may think they are a bit 'over' right now but I don't care, I'm still dying to give these bad boys a try. As you can see I am SO ready for spring, can't wait to experiment a little more this year!